Well grown to make 16.2hh plus, homebred gelding out of our own Minuet also homebred by Medoc. 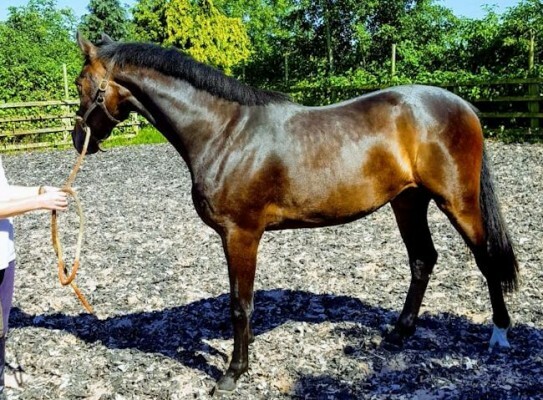 Yogi has been well handled, bought up on our working farm / livery yard so has had a wide range of expereinces making him ready to move on to any environment. He is elegant with super movement and elastic paces. Good temperament being both friendly and easy to handle. His sire Serano Gold is by Sandro Hit, one of the most popular, proven sires of recent times. No veterinary history provided for this horse. This horse has no connections. Why not be the first to connect to this horse? Register FREE now and automatically receive email alerts when horses similar to this are added to the site.